This granite has dark background with white veins which are like a spider net. veins intersects sometimes and gives the look of a dark forest. The stone ranges from astonishingly subtle lines to widely perceptible, among many other spectacular aspects in this grace. Its charm and elegance will look splendid in any given space and its usage lasts for decades. This granite has many similarity of texture with Paradisso Granite and also called as Silver Paradisso. 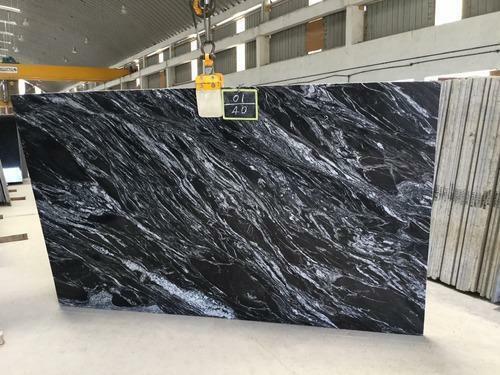 This granite is primly used for Kitchen Countertops, wall tiles and flooring.